The New York Times reports that Maxwell's, the Hoboken venue that helped launch Yo La Tengo, The Feelies, and other bands that defined the "Hoboken Sound" of 1980s indie rock, will be closing its doors in July. Co-owner Todd Abramson, who has also served as the club's booking agent for most of the past 30 years, said the club can still afford Hoboken's escalating rents, but along with those rents has come wave after wave of gentrification. The city, which was once known as an affordable refuge from Manhattan and was home to a thriving community of artists and musicians, has followed Manhattan's lead in becoming the exclusive province of the rich, overrun with luxury high-rises and people several tax brackets away from spending a Tuesday night seeing five garage-rock bands for eight dollars. The club, which takes its name from the Maxwell House Coffee factory that once occupied the adjacent block, was opened in 1978 as a bar and restaurant, but soon became a regular concert venue, supporting the local indie-rock scene through the '80s and early '90s. Co-owners of the club over the years have included Peter Buck, Bob Mould, and Steve Shelley. Yo La Tengo, Hoboken natives who played their first gig at Maxwell's, have made an annual tradition of playing all eight nights of Hannukah at the venue, with an array of opening acts and special guests. 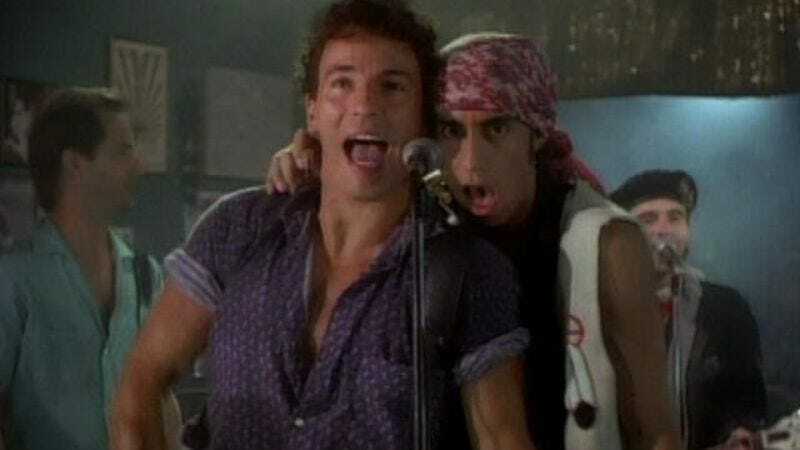 Bruce Springsteen also filmed part of the video for "Glory Days" at the club, which we're pretty sure qualifies it for New Jersey landmark status. Abramson will continue booking The Bell House, a venue in Brooklyn, which should be safe from gentrification for another 3-4 weeks. Maxwell's last night, July 31, will feature "a," the first band ever to play the club.